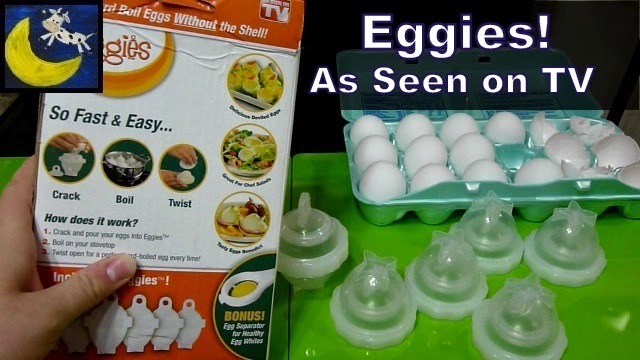 Growing Little Ones : Review: EGGIES How to Hard Boil Eggs Without the Shell! From As Seen on TV! Review: EGGIES How to Hard Boil Eggs Without the Shell! From As Seen on TV! I got these a while ago and finally decided to try them out. I show you how to use them per the instructions and I review the Eggies and tell you whether I think they are better than doing it the "old fashioned way!" I go through the whole process from A to Z in this video showing you the Eggies How to Hard Boil Eggs Without the Shell!